Advances in distributed ledger technology for the protection of intellectual property. In an upcoming episode slated to air 3rd Quarter, 2018, the Advancements series will explore recent breakthroughs in distributed ledger technology. Check your local listings for more information. Started by and for scientists and inventors with the aim of using distributed ledger technology (DLT, also known as Blockchain technology) for the protection of intellectual property (IP), IPCHAIN Database replaces and complements traditional intellectual property strategies by offering proof of authorship via the safest form of digital publication as well as a safe way to share and transfer confidential information and IP rights. In this segment, audiences will learn how the decentralized Blockchain technology-backed IPCHAIN database protects the interest of users and establishes authorship beyond all doubt. “IPCHAIN Database through Blockchain technology has the potential to completely change the way we protect new ideas and thus directly addresses the needs of innovators, scientists and companies. We are grateful to have the support of leading stakeholders in the IP industry and very excited to be part of this series,” said Dominik Thor, CEO & Founder of IPCHAIN. “IPCHAIN represents the fastest, easiest, and cheapest way of establishing ownership of intellectual property, including but not limited to inventions, original literary and artistic works, concepts, and ideas,” said Michael Devine, senior producer and content development lead for the Advancements series. The team behind IPCHAIN consists of Blockchain and IP experts with a strong background in corporate and academic research aiming to improve current solutions for the protection and management of IP. 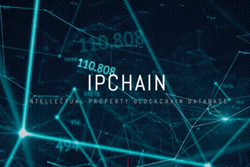 IPCHAIN Database has partnerships with leading stakeholders in the field of intellectual property – among them WIPO Green, a division of the World Intellectual Property Organization WIPO, an agency of the United Nations, and the Dennemeyer Group, the world's leading IP law firm. For more information, visit: http://www.ipchaindatabase.com.